So, in my last post I took you through all my top tips and recommendations for what to do and where to go in Old San Juan. In case you haven’t already, you can read more about it all here. Today we’re covering the wider San Juan area and my favourite spots in Condado, Isla Verde, Ocean Park, Santurce and beyond! I have been coming to Puerto Rico for years, it is one of my favourite places to get away from it all, but I still seem to find something new every time I visit! Sadly a few of my long-term favourites have closed since the hurricane but there is still so much fun to be had! 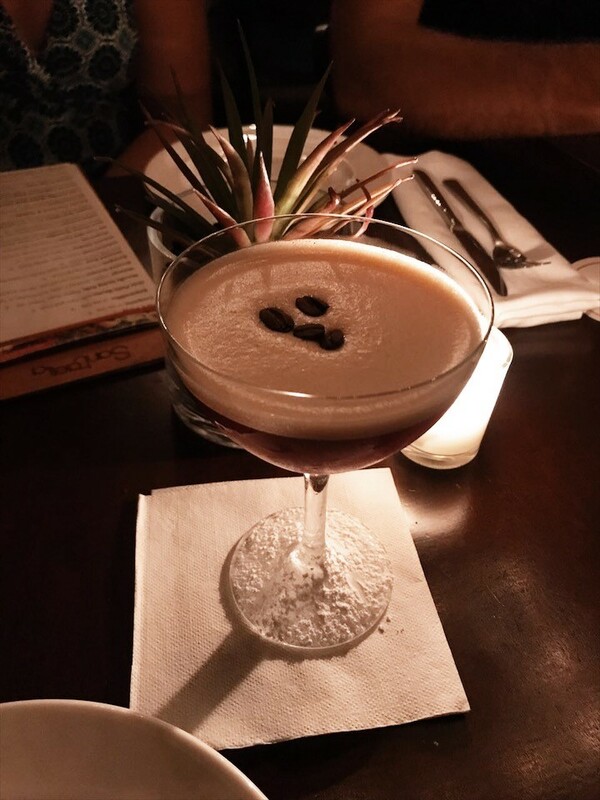 This is my travel guide to San Juan, Puerto Rico. Puerto Rican fine dining at Santaella is such a treat. 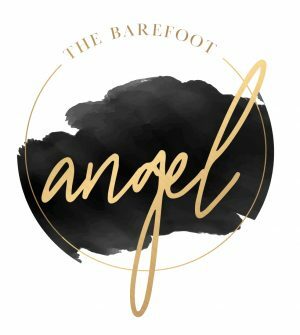 Home to renowned Puerto Rican chef, Jose Santaella, this restaurant aims to showcase the very best of Puerto Rican cuisine and sources many of the ingredients from the local farmer’s market. 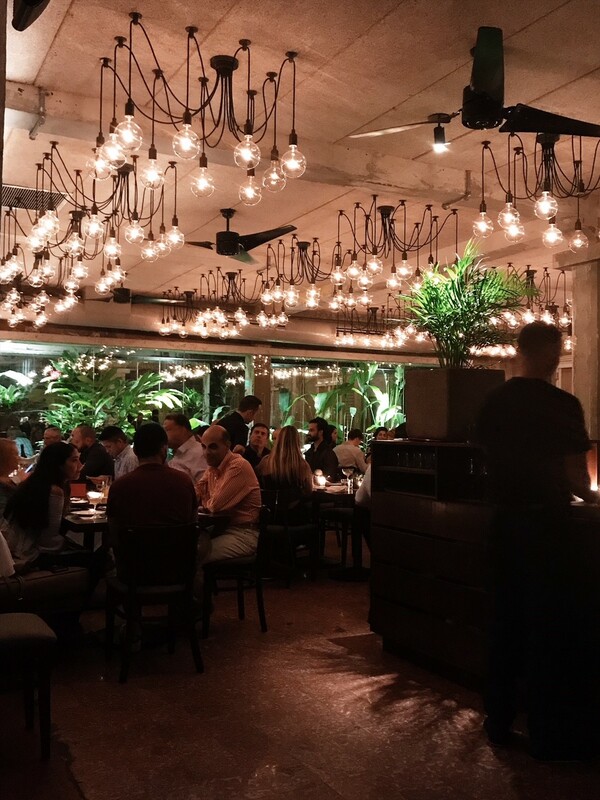 Very popular (be sure to make a reservation) this restaurant is a bustling and busy, leafy oasis in the heart of Santurce. Santaella serves up truly delicious Puerto Rican dishes with a specials menu that changes daily. 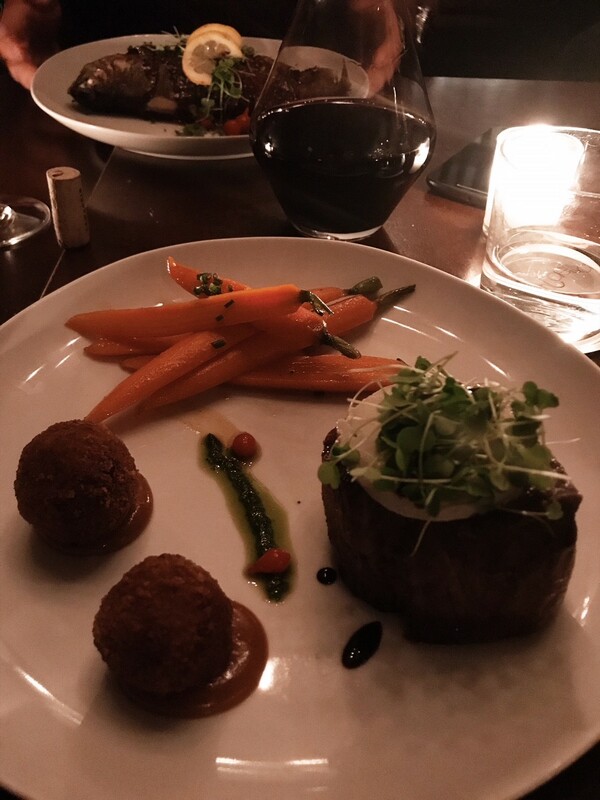 Portions are generous so be sure to share some of the fantastic starters with whomever is lucky enough to be dining with you, and try to save room for dessert. I take brunch very seriously (is there a certification in brunching? Because I’m almost certainly qualified!) and this place is seriously good. Huge (!) portions (the ‘Famous Blonda Breakfast’ (not pictured) is obscene! 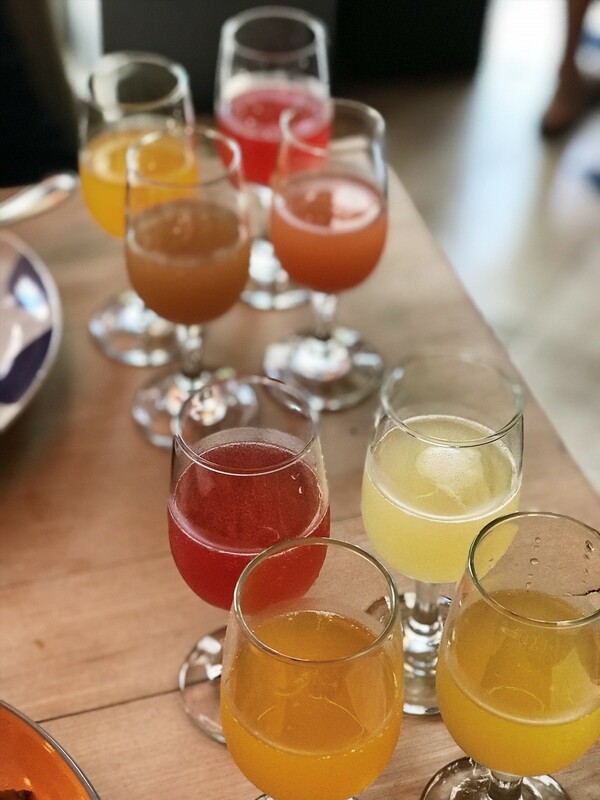 ), extensive menu, a selection of different mimosas (orange, raspberry, guava, ginger, passion fruit, grapefruit, mango and acerola to mention a few) including an option to sample 4 smaller glasses for $15 (sold!! ), what’s not to love? Try to get there by 10:00 am for the best chance of getting seated quickly (no reservations on the weekends) or expect to queue for a table. Made famous by (you guessed it) Barrack Obama’s presidential visit in 2011, this large bakery/diner is very popular with Puerto Ricans and packed at the weekends. 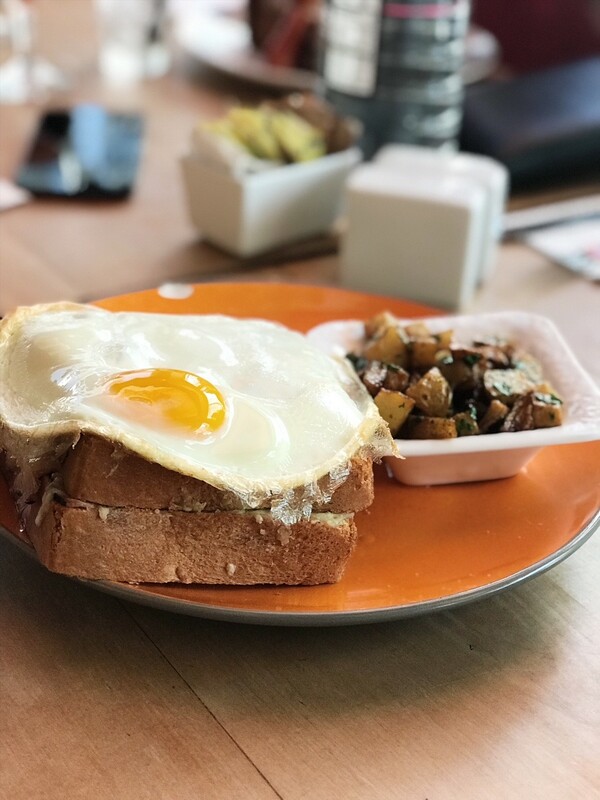 Stop in for breakfast, join the queue, order from the huge menu of local favourites (you can order exactly what Obama had, if you fancy, but personally I like the Mallorca con jamon, queso y huevo) and then jostle for a seat at the busy communal tables. Slightly off the beaten track but worth the trek/Uber is the Ceviche House. As the name suggests, it’s famous for it’s Peruvian fish dishes. 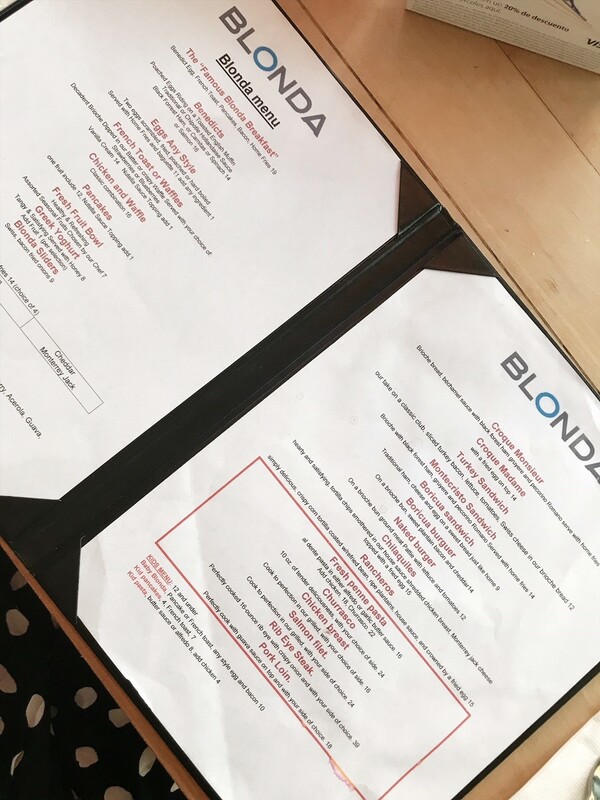 Great for lunch or dinner, try to make a reservation – if you can – or expect a wait for a table. Choose what sort of fish/seafood you want and order pitchers of sangria. We collect nights with Hotels.com and I got to use a free night towards this booking which meant that it brought the price per night right down. San Juan’s premier 5* hotel, for old school glitz and glam you don’t get much more luxe than the Condado Vanderbilt. Think lots of marble and gilt and impeccable service. 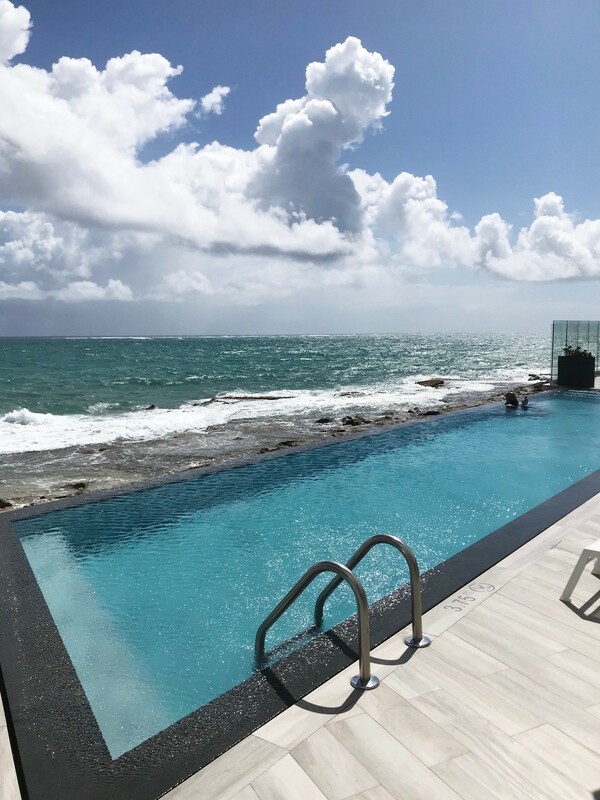 For a more budget-friendly option try Hotel Acacia, a short walk from the main drag in Condado, Acacia is clean and comfortable with a large hot tub and pleasant cafe called Niche. Their sister hotel (Windchimes) across the street also has a swimming pool that you can use. Santurce (where Santaella is located) is a neighborhood in San Juan that really comes alive after dark. 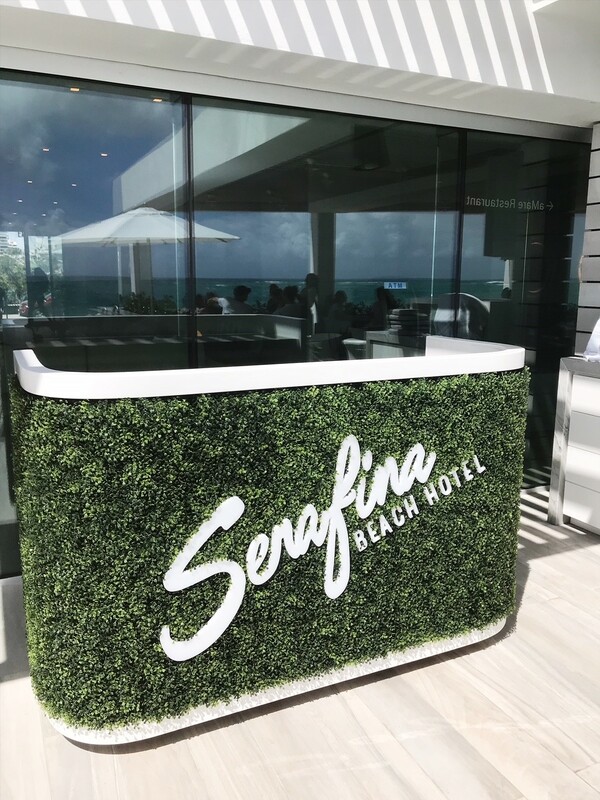 If you had been to dinner at Santaella you’ll be right in the thick of it, if not there are plenty of little bars and food stalls around to grab a bite. Busy bars line the streets surrounding La Placita, the salsa music is loud and it’s not unusual to find couples dancing in the streets. Cueva Ventana – Head out towards Arecibo to visit Cueva Ventana. Involving a relatively gentle hike and then a climb down into the cave, please wear appropriate clothing and consider your fitness levels (suitable for older children). All that exercise is worth it though when you descend down into the cave and see the view opening up in the side of the valley and the lush greenery. Watch out for the bats! Arecibo Observatory – While out in Arecibo you should pay a visit to the Arecibo Observatory. Famous for a few reasons (it was the world’s largest radio telescope for over 50 years) but you’ve probably seen it in the climactic scene of the Bond film ‘Goldeneye’ (Bond and Alec Trevelyan engage in a fight on the antenna overhanging the huge dish at the end of the film). As well as the view from the top, and the Bond-themed photo opportunity, there is also an educational science centre that is great for kids and adults alike. 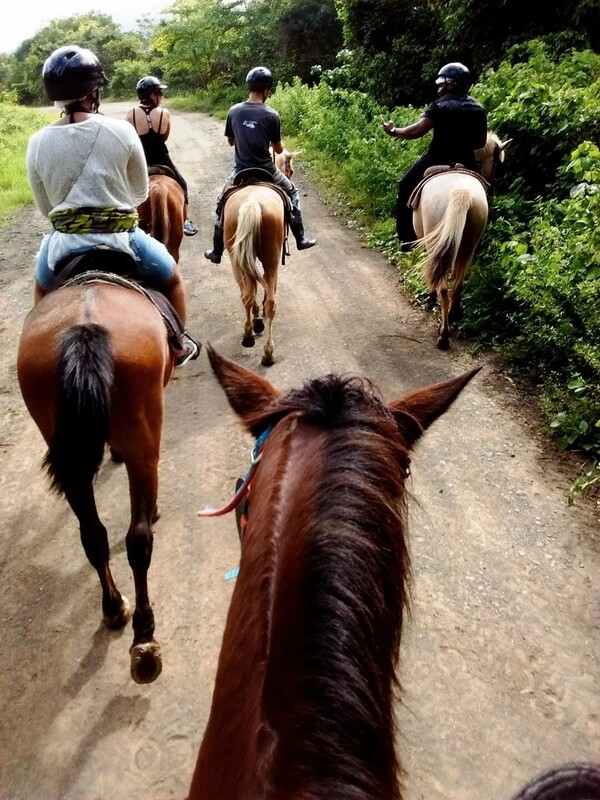 Horse-riding in the jungle – In the foothills of El Yunque National Rainforest is Carabali Rainforest Adventure Park where you can go horse riding through the forest. 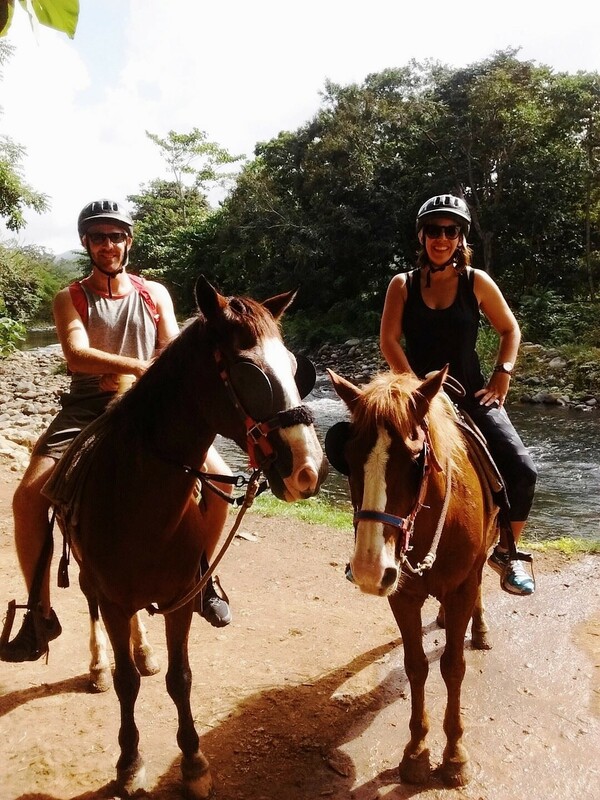 Suitable for beginners or slightly more advanced riders (the husband is a complete riding novice, whereas I rode a lot when I was younger), all levels can enjoy a couple of hours, at a fairly sedate pace, exploring the forest and out to the banks of the Mameyes river where you can cool off (and drink the water) with a quick swim. So, there we are, this is by no means an exhaustive list as there are literally so many things you can get up to in Puerto Rico. But I look forward to updating this post after more Puerto Rican trips and new adventures, and as I discover even more of the hidden gems. Have you visited Puerto Rico? What else should I be putting on my list of things to do?? Puerto Rico is such a convenient destination with direct flights from many of the main US cities. If you’re a US citizen traveling from the US you won’t even need your passport! As an International airport, the Luis Muñoz Marín International Airport (airport code: SJU) is also a direct flight from many European capitals. Check Skyscanner for cheap flights and set an alert for when the prices drop. I choose to use Hotels.com for all my trips away as I collect nights on my travels which can add up to free nights in the future. San Juan has plenty of fantastic hotels listed as part of their program and you can grab some great rates! Please always remember that it’s a good idea to take out travel insurance whenever you are going away. Lost belongings, missed connections or a host of other travel woes can really impact your trip. As expats we always use World Nomads because of their flexible coverage. Be sure to read the policy details carefully and ensure that it is right for you! Awesome guide ! Leaves me wanting to go there ! 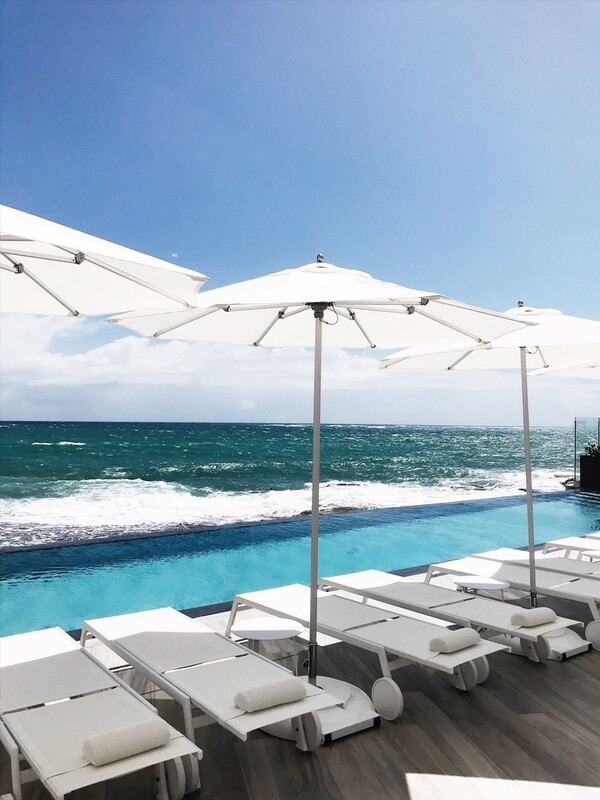 My mom has been to PR but I have yet to go…it’s one of those trips on my travel bucket list –I bet the food is TO DIE FOR too! Yes, such incredible food!! Fingers crossed you make it for a visit!! Ugh, I need to travel so bad–I’ve been itching to go on vacation somewhere tropical and San Juan is on my list! Super helpful guide–thanks for sharing! Aaaah, yum, fun, and yay! Would love to have been there too! Come and visit!! PR really is such a fun Caribbean destination! Wow great guide! It sounds really fun and exciting and makes me want to go on vacation right now to do at least half of these! Thank you! You should!!! Everyone needs a vacation! Such a fun trip! Your photos are gorgeous and the food ones definitely made me hungry. A good guide and superb post. That food looks SO dreamy!! Thanks for sharing! As well it should be Jeremy! Hope you get a chance to visit soon!! It really is!! 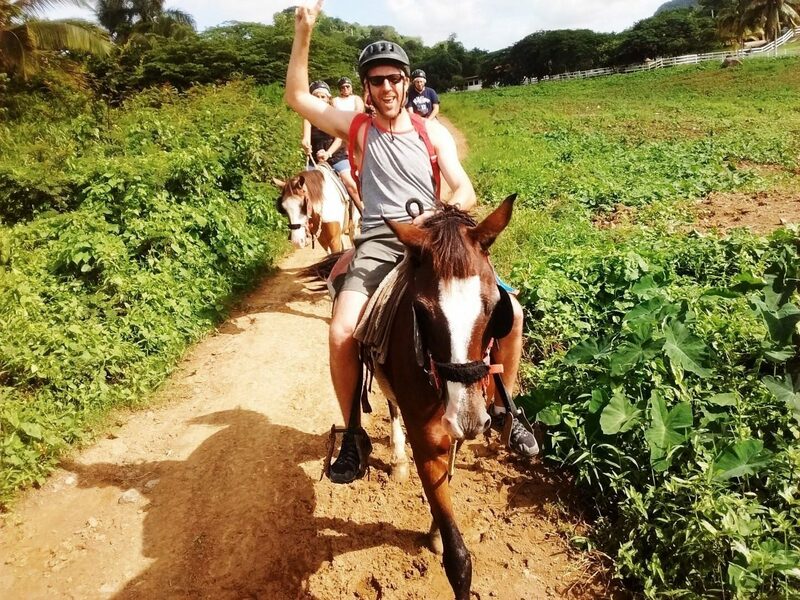 The horse riding is so much fun, you can choose to trek through the jungle or on the beach! Either would be an amazing experience! La isla del encanto! 🙂 I’ve been many times to visit family but would love to visit and see it like this, looks like so much fun! That sounds fantastic too!! I would love to have family to visit over there – have you been over since the storm? You had me sold at brunch mimosas! Puerto Rico looks stunning. The food photos look delicious but I am vegan so I cannot eat them 🙂 I have looked into it further and Im surprised to see there are plenty of vegan options in Puerto Rico. I definitely have to add San Juan to my forever growing travel bucket list! 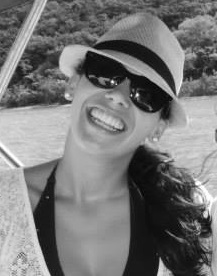 I am Puerto Rican and PR is my absolute favorite place in the world to visit. It’s so rich in culture and there’s nothing like the Puerto Rican people, who make you feel at home. I love this round up, and like you said you can find something new every time you go. The lighting in that first restaurant is amazing! I love the vintage / modern vibe! What a fun place to have a meal! Everything looks amazing! 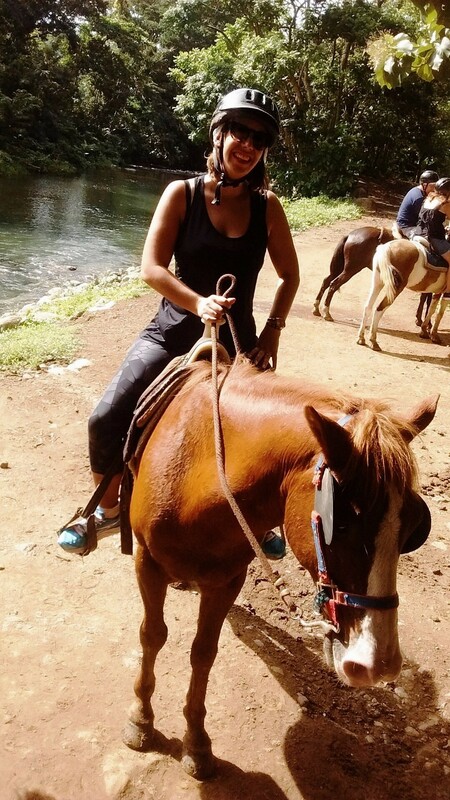 From the food to the horseback riding. Looks like a wonderful place to visit. This looks like such an amazing adventure! You had me at yummy food and horse back riding. Puerto Rico is on my bucket list!